Every action is for sale in WizKid�s new card game of medieval intrigue, King�s Struggle, scheduled to release this November. King�s Struggle uses the long-proven mechanics of trick taking and set collection to set the stage for a game that inspires negotiation between players. Over seven rounds, players try to collect the cards and gold they need to score points and win the game. 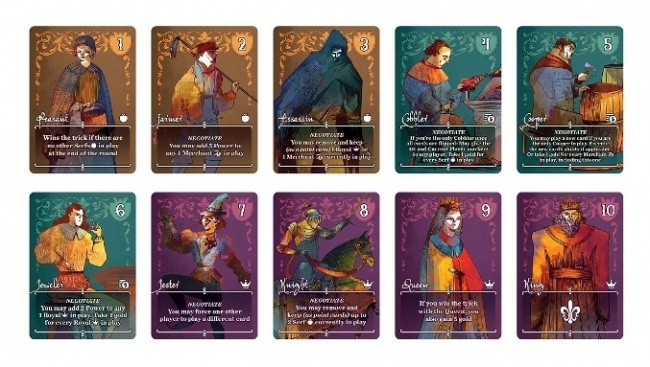 The cards played into the tricks have special abilities, which the player may choose to use, or not use, when they play the card. But each player�s action is open for negotiation, and players can use their card abilities to try to extract deals from the other players. 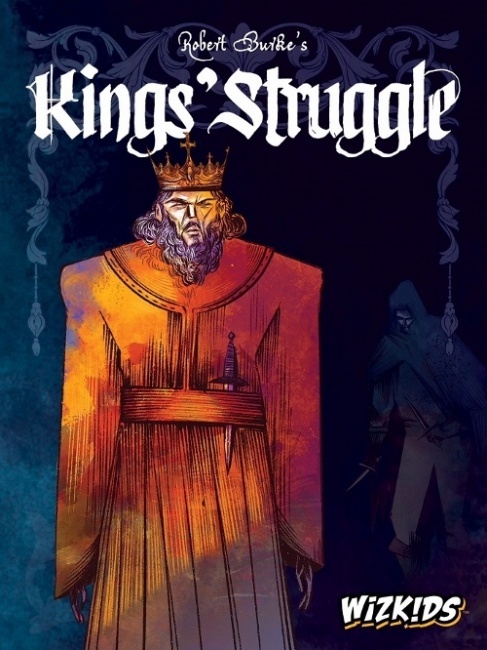 Created by Robert Burke (Draco Magi), King�s Struggle comes with 66 cards and the tokens needed to play the game. It is intended for 3 to 6 players, ages 14 and up, and takes a little less than an hour to play.